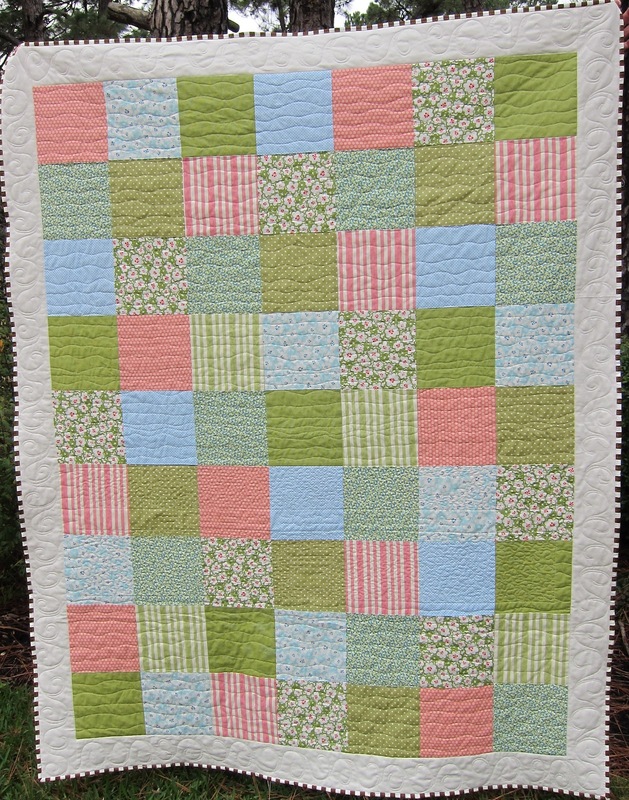 My friend made a baptism quilt for her 8 year old grand daughter, and asked me to quilt it for her. 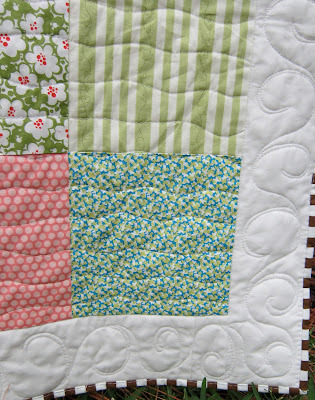 She's a beginning quilter, so she kept the piecing simple and used 8 inch squares. 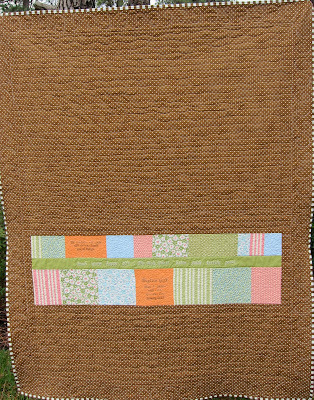 (you could make it simpler by using a layer cake, 10 inch squares pre-cut). 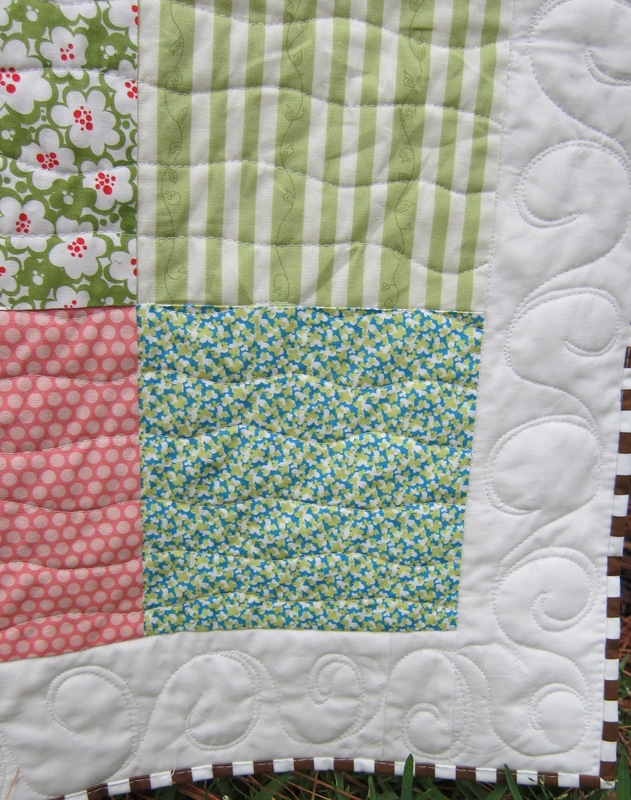 Quilting is slick with the nifty Sweet Sixteen from Handi Quilter. 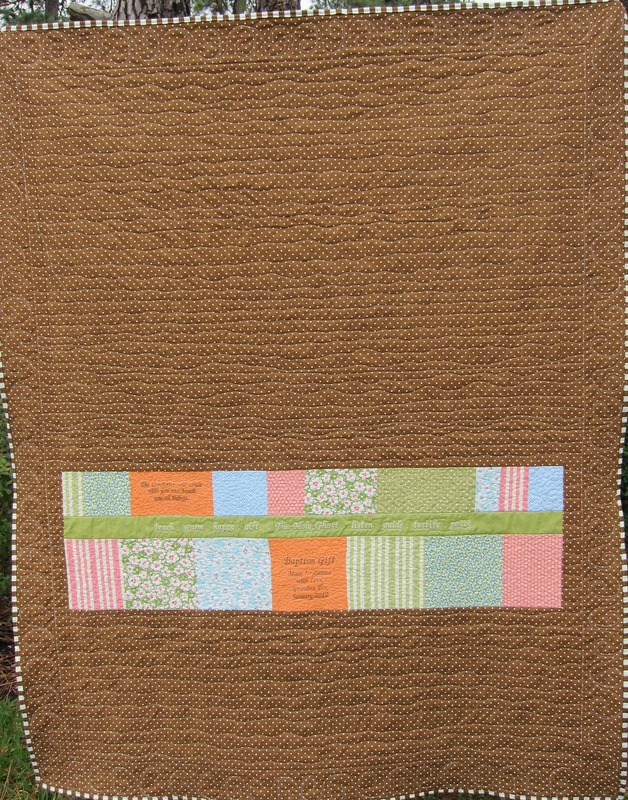 A stripped binding gives it the modern look. The back has some nice personal touches. Lovely quilt for a lovely occasion.